Start and finish your eye brush collection with just one simple set! The Essential Eye Set is every eye brush you need to add the perfect natural, bold or smokey color to your look. Start with the Large Eye Brush to sweep on a light shade all over the lid. Next use the Angled Crease Brush and a medium/dark shade to blend on the outer crease of the eye to enhance the eyes. Use the Petite Eye Shading Brush to add a dark shadow at the edge of the eye to add a dark accent at the edge of the eye. Precisely blend out the shadow by using swiping motions towards in inner part of the eye lid to complete the smokey effect with the Smudge Brush.Finish your look with the Ultra Fine Eyliner Brush and your favorite cream or gel liner to create a wing for a polished look. Protect your brushes in the beautiful cosmetic bag. 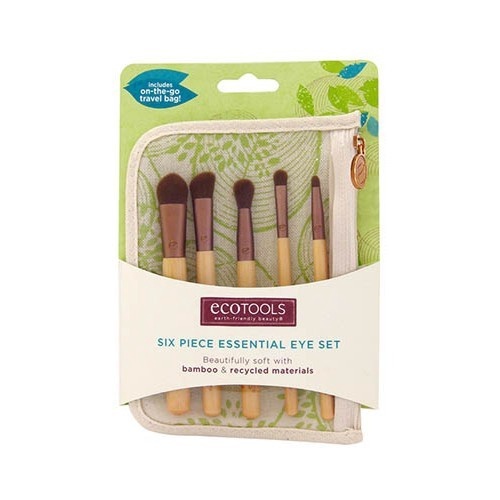 EcoTools Cosmetic Brushes are made with cruelty free synthetic bristles, sustainable bamboo handles & recycled aluminum ferrules. 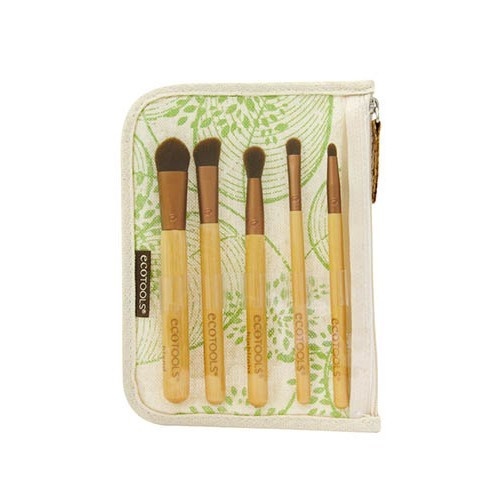 EcoTools cosmetic brushes are packged in reusable cosmetic pouches to make traveling and transporting your beauty look simple.